Pre-workoutAmix Nitric - 125 kaps. Amix Nitric - 125 kaps. 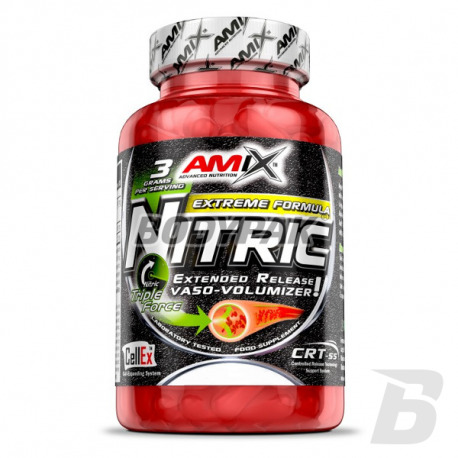 AmixTM Nitric contains special Nitric Triple Force Complex, which combines three unique & advanced forms of amino acid L-Arginine ….. Alpha-Ketoglutarate (A-AKG), Ethyl Ester HCL, Alpha-Ketoisocaproate (A-AKIC). 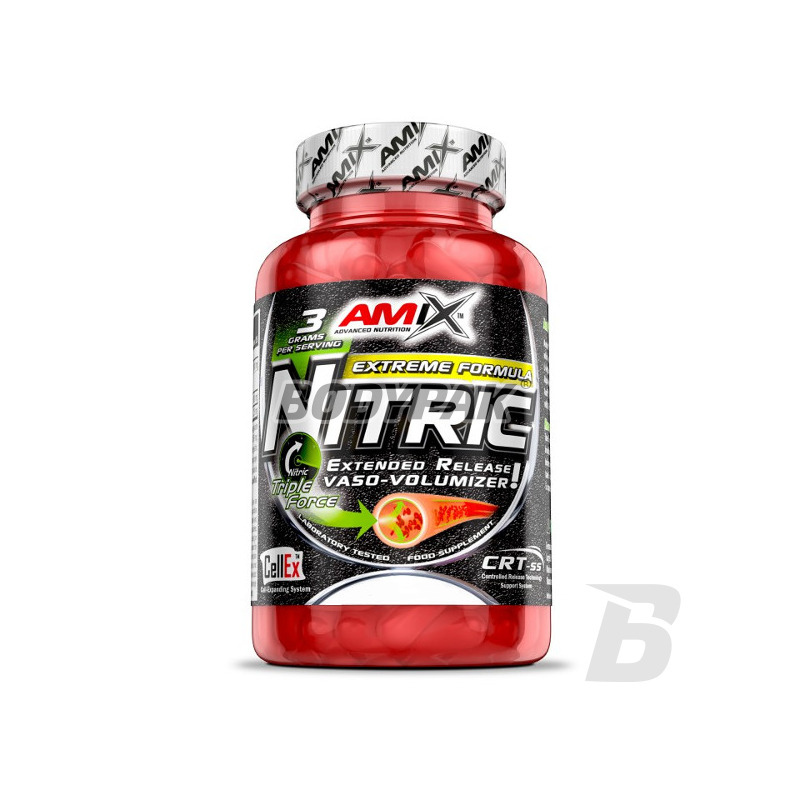 AmixTM Nitric is furthermore enriched with L-Citruline Malate and BTA HCL. Take 5 capsules about 2 hours after breakfast and 5 capsules 30-60 minutes before workout. On non-training days take 5 capsules before lunch and 5 capsules before dinner. Ingredients: alpha-ketoglutarate of L-arginine (D-AKG), malate, L-citrulline, ethyl ester of L-Arginine HCL, Alpha-Ketoizokapronian L-arginine (D-AKIC) gelatine capsules (pure gelatin, water, color dioxide titanium), BTA HCL, stabilizer: hydroxypropyl methyl cellulose METHOCEL agents, anti-stearate; silicon dioxide. Niesamowita i długo utrzymująca się pompa mięśniowa to jest coś, czego nigdy nie czułem aż w takim stopniu - MEGA!! !